Many of us in Southern Maryland have a decent size lot around our homes. We all strive to maintain our lawns tidy with the refreshing look of recently bright green grass cut during the summer season. There is some kind of warm feeling inside when you look out from your home window to see nature’s colors screaming at you to come out! Instead of tasting nature from the inside, why don’t you live in it! How? Make a Patio. Having a patio in your home, will not only increase the value of your home, rather it will increase the quality of your life now! It will enhance the time you spend with real people instead of people on screens and more so, create an appealing feel that many will be stopping by to say hi. What are some reasons why you should start utilizing that space outside? Every person at home claims their spot in the living room. Well, there may be a battle when you add an outdoor couch on your patio. A new place to hide away from people, read or listen to nature’s raw music, or just the opposite, a new place to play music with friends as we lounge around soaking up on some vitamin D. A patio is very versatile for your personal likes at home. If your a house wife or mom, having a patio will keep you away from taking anxiety or depression pills. It can be very simple to start getting the house blues when most of your day you may feel like a prisoner in your our home. You wonder why actual prisoners don’t mind living in prison when they get everything, like time enjoying outdoor activities. When you have living space outside, you will be more prone to building your own organic garden, doing yoga outdoor or now convince hubby to add a pool in your backyard. Life at home will be more productive for you personally and most importantly, if the lady in the home is happy we are all guaranteed well being as a family. Staying indoors, you breathe artificial air. Maybe for most of us, we are so used to it that breathing outdoor air is a shock to your system that you have allergies. LOL! Hopefully we haven’t come to that point so you can really enjoy air that gives us energy. Those trees and plants around you clean the air and give off refreshing air for our bodies to inhale. Taking advantage of what a beautiful place we live in will no doubt give you that peace of mind we want when we had a bad day at work. Sitting on your outdoor patio will definitely calm your nerves digesting that Southern air. We all work so hard to gain more quantity but in reality the key is quality. Adding a patio to your home will actually do both. The quality of your life will have more meaning as each member gets to recharge their batteries living outdoor. Many will feel more apt to doing something than sticking to the screen. Many fond memories with special people will start on your patio. Furthermore, the value of your home will increase as many home buyers will want that favorite spot during summer time. As Southern Marylanders, we are known to be friendly and it all starts at a happy home. Who would have thought outdoor living space could achieve that! Are you convinced? 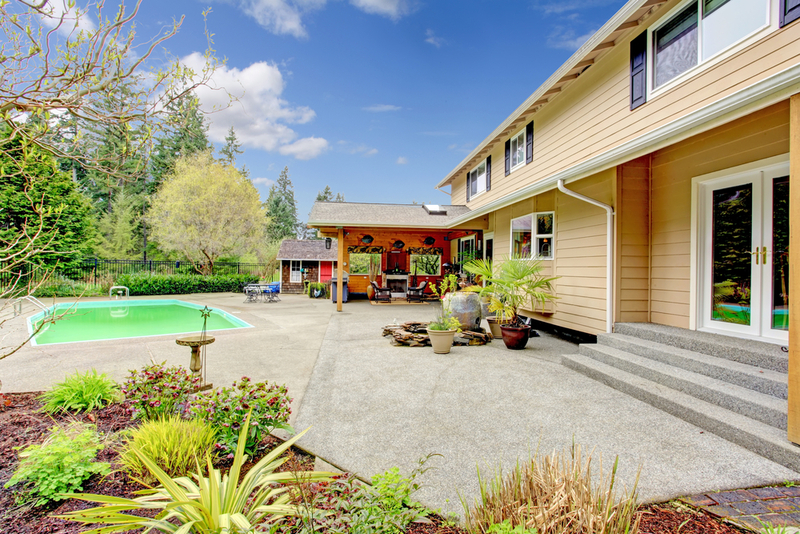 check out how stamped concrete can add more flavor to your home in the next article.